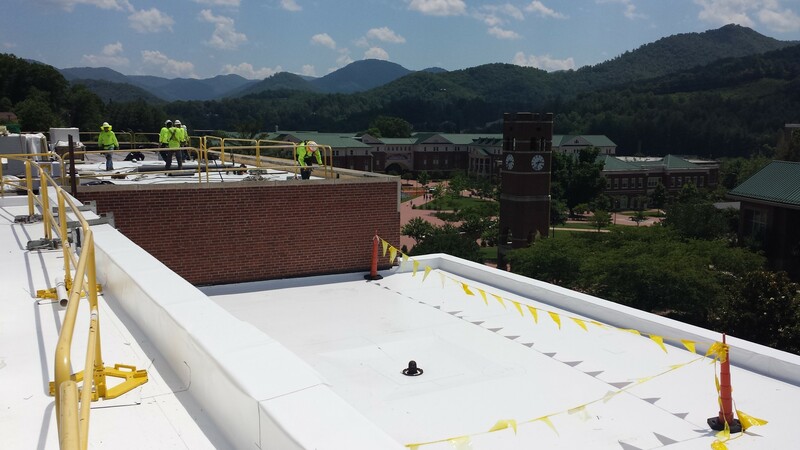 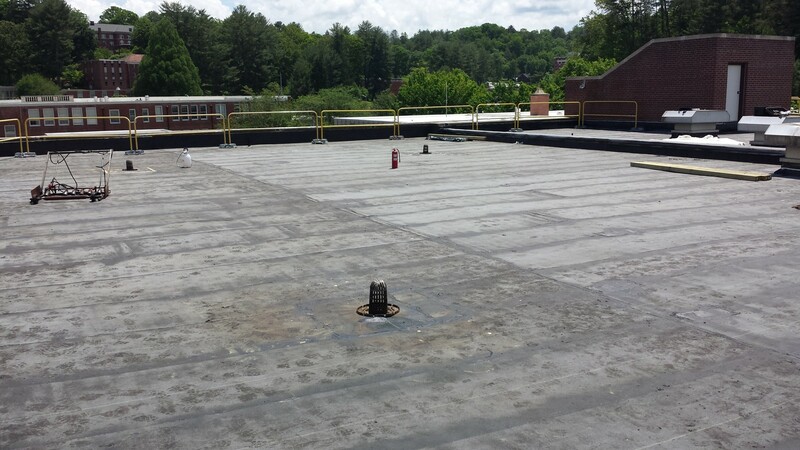 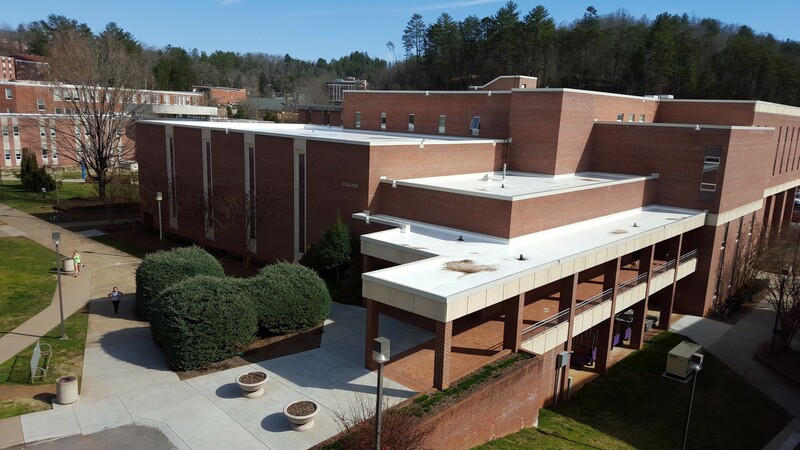 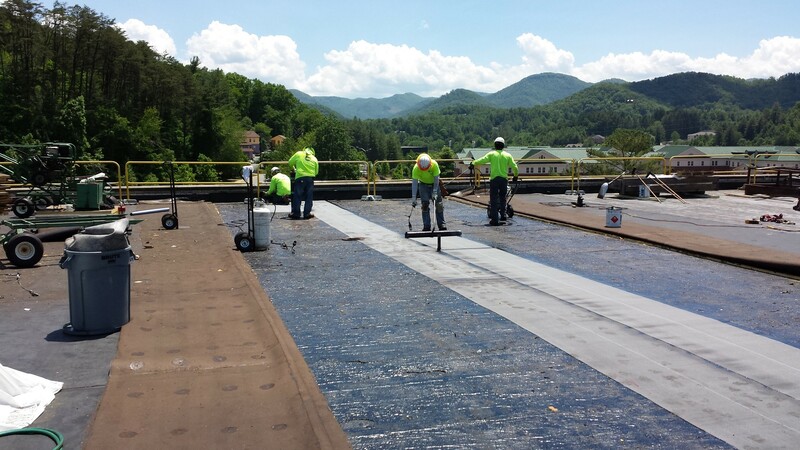 Western Carolina University - Coulter Building - Evans Roofing Company, Inc.Evans Roofing Company, Inc.
Project Info: Tear off the existing roof down to the existing vapor barrier, torch apply modified bitumen, loose lay one layer of 2.2” Polyiso. 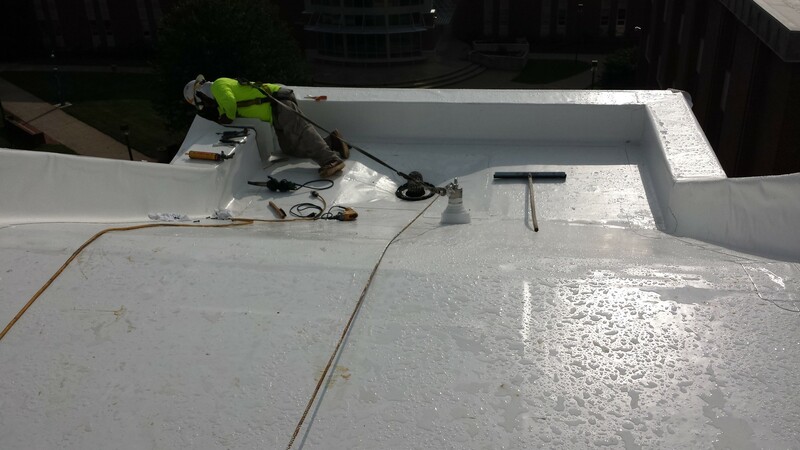 insulation, mechanically fasten one layer of 2.2” Polyiso. 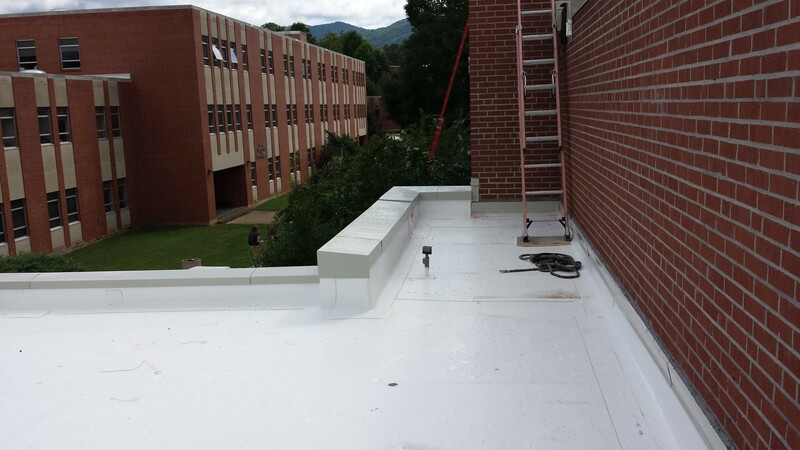 insulation, adhere one layer of 1/2” High Density Polyiso. 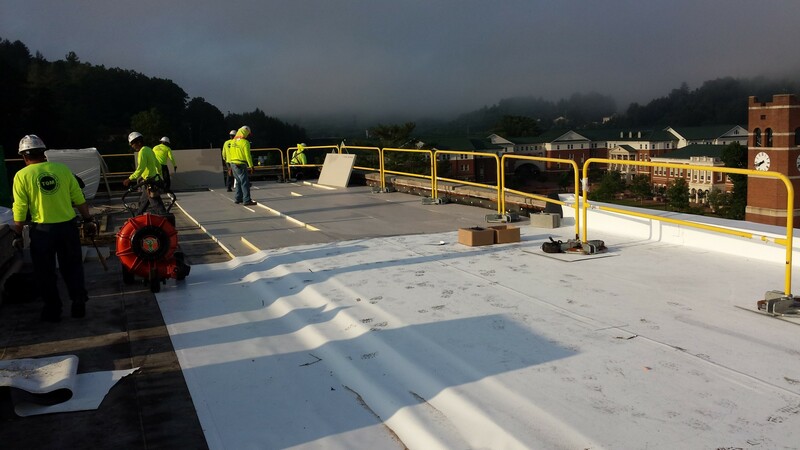 insulation, and adhere Sika Sarnafil’s 60 Mil G410 membrane. 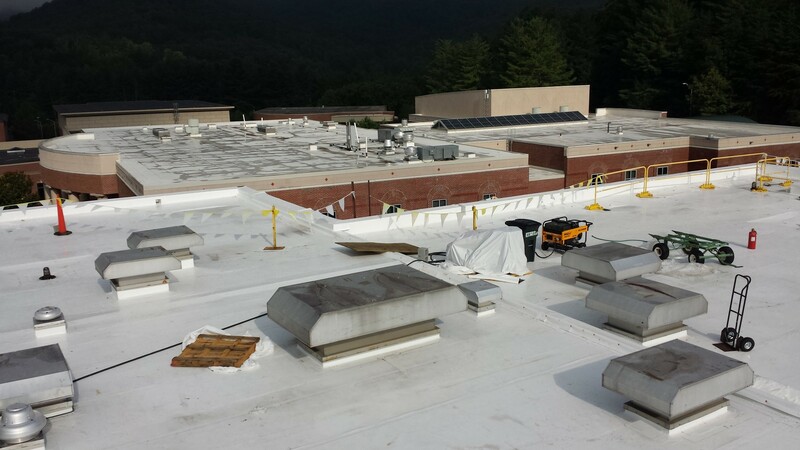 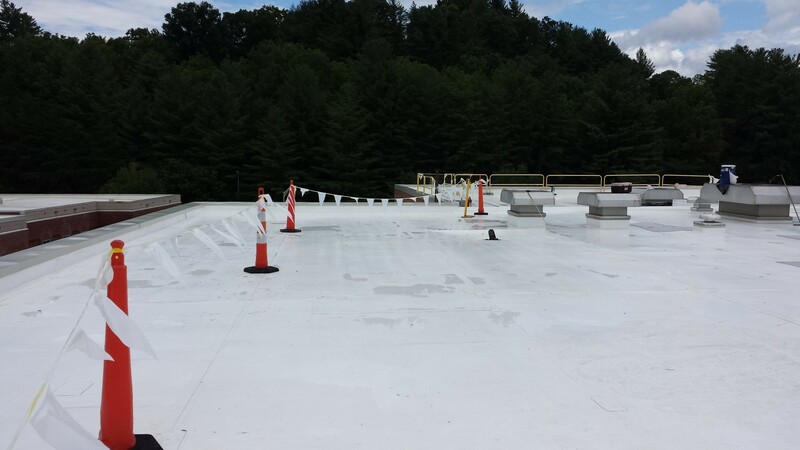 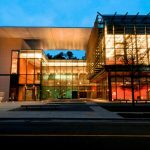 Eight Separate Roof Areas, Tearing off old roofing system and installing a modified bitumen vapor retarder/temporary roof, and then adhered 60 Mil PVC membrane. 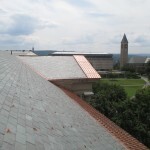 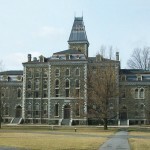 Working was difficult due to a very congested and busy college campus.